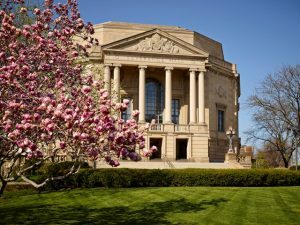 The Cleveland Orchestra is seeking a Leadership Annual Giving Officer who will engage prospects, donors and other members of the community in philanthropic support of The Cleveland Orchestra. This individual will actively manage a donor portfolio, identify and qualify new donors, make discovery calls, and build a pool of new prospects and past donors who have the capacity to increase their annual support. The Leadership Annual Giving Officer initiates gift strategies and cultivates and solicits prospects through personal visits and written communication. He or she will work closely with colleagues to implement strategic approaches to increase the donor base and build a robust pipeline for major gift support for the Orchestra. able to travel between Severance Hall and Blossom Music Center and work a flexible schedule that includes evenings, weekends and some holidays. knowledge of orchestral music is highly desirable.